SEO is one of the many ways of getting more traffic to a website. Quite simply, the higher the ranking position of your site, the more people it attracts, and the more people it attracts, the more products and/or services you sell. A decent tactic for attracting even more traffic to your pages is to use a subset of search engine optimization –keyword optimization. This means optimizing the content on your website for the specific words that people use when performing a search for your product or service. However, if you really want to convince users to visit your website, subscribe to a newsletter or buy your products and services, then you need to take their search intent into account. Read on to find out what search intent is and how can you use it to optimize your content and boost your SEO rankings even further. Search intent can be characterized as the reason behind a specific search. Why are people searching for something in the first place? Do they have a simple question that needs answering? Are they looking for a website to learn something? Do they want to buy or sell something? Exhaustive users have a wide scope of search intent around a particular topic, while specific users have a narrow intent and rarely deviate from it. Throughout the years, Google has improved its understanding of users’ search intent and today the search engine gives the highest ranking to pages that not only fit the particular search term or search query, but also the particular search intent. One of the best ways to understand the intent behind a search query is to take a look at how results are displayed in the search engine results page. For example, if you’re searching for an Apple store, you’re most likely looking for the nearest Apple store, not the company’s headquarters in Cupertino, California. And Google’s own guidelines for Search Quality Rating closely mirror this example. 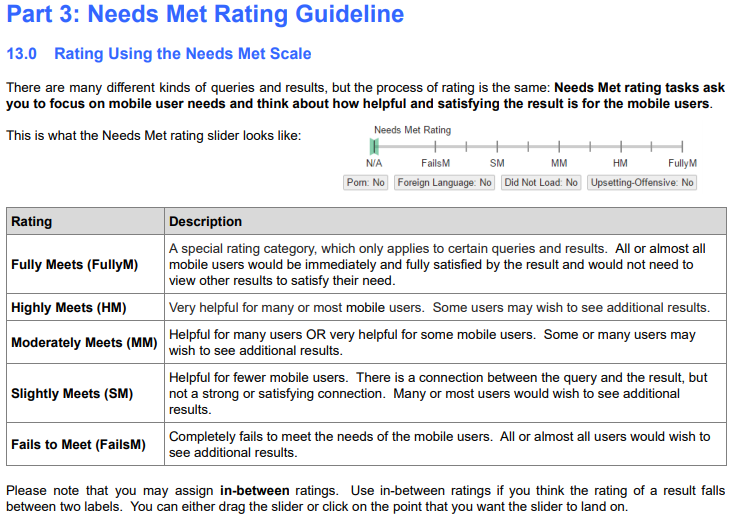 In fact, Google’s “Needs Met Rating Guideline” offers a scale ranging from FailsM (Fails to Meet) to FullyM (Fully Meets), with the appropriate flags for content in foreign languages, that is offensive and upsetting, or that simply does not load. This rating system is not only present in the web results (the top 10 blue links) but also in the special content result blocks, more commonly known as rich results (previously known as rich snippets). This system is exactly what determines the intent behind the search in order to provide the most useful results. Of course, ambiguous queries that fail to present a clear search intent cannot possibly achieve a FullyM rating. Dominant interpretation refers to what most searchers mean when searching for a specific query, and without a dominant interpretation of the query, the search engine cannot provide a definitive result. The more online research that users do, the clearer the dominant interpretation. It’s normal for queries to have more than one interpretation in common. Google’s guidelines use the query “mercury” as an example, which can either represent the element or the planet. 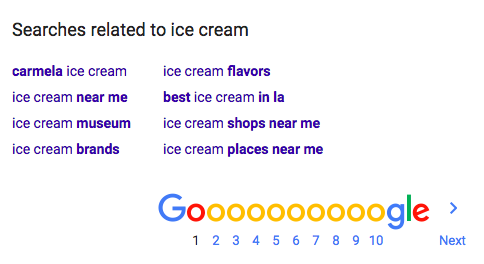 Considering that this is quite a vague query, Google cannot provide a specific result that will fully meet the search intent behind it, which is why it produces results that vary both in intent and interpretation in order to cover all its bases. 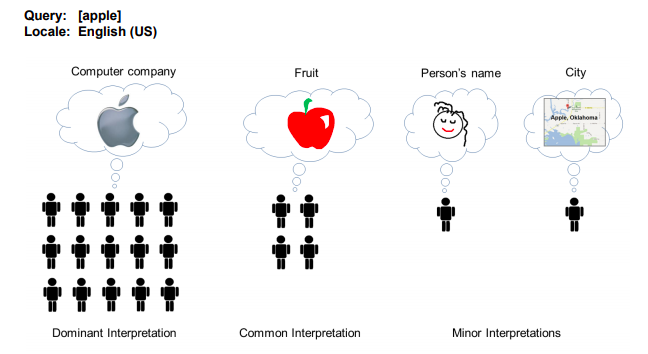 Minor interpretations refer to queries with less common interpretations which are often locale-dependent. These three classifications help Google determine the exact type of results to be delivered to the searcher. When a “do” query is performed, searchers are often trying to accomplish a specific goal or achieve a certain action, such as product purchase or service booking. These are particularly important for e-commerce websites where users are looking for specific brands, products or services. One of the forms of do queries is a device action query. This is increasingly important, given how much we use our smartphones and other mobile devices to interact with the Internet. Global searches shifted substantially from desktop to mobile in May 2015 and today 57% of all Internet traffic comes from smartphones and tablets. Google is keeping up with the times, having released two major mobile-friendly updates to its guidelines and announced the implementation of its mobile-first index. Increased accessibility to the Internet across the globe means that users are now able to perform their queries far more frequently and in regards to real-world events. According to Google, 15% of all search queries it handles on a day-to-day basis are completely new. 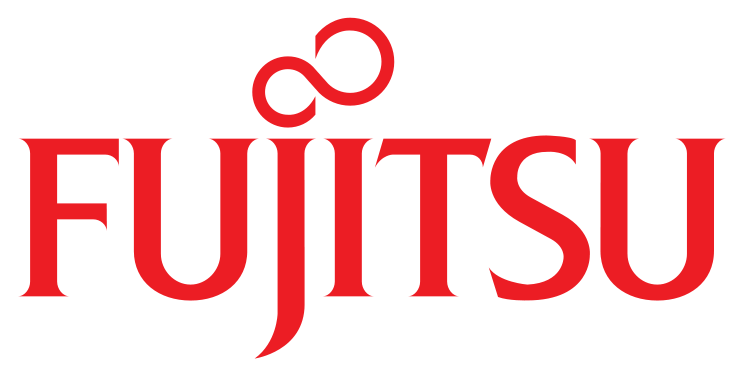 However, it’s important to realize that users may not be able to satisfy their queries via mobile devices. Most people use their smartphone or tablet to find information or research a specific product or service, only to complete their purchase at some later date using their desktop device. This is called “commercial investigation intent” and can be used with rich snippets to help mobile users accomplish their goals quickly. Commercial investigations walk the fine line between being purely informational and transactional in nature, but are mostly used for comparing products and retailers and similar content marketing. Investigational intent boils down keyword-specific search marketing. Know queries deal with informational intent, where users want to find out more about a specific subject, product or service. They are closely related to micro-moments, or the need of users to satisfy their search query then and there, such as checking stock prices or train arrival times. Know queries range from very simple questions like “How tall is Mount Everest?” to highly complex and broad queries that often don’t have a straightforward answer. While they do provide users with value, informational queries don’t hold the same importance as commercial and transactional queries for e-commerce websites. Informational queries can be used with rich and featured snippets to improve SEO and drive traffic to your pages. 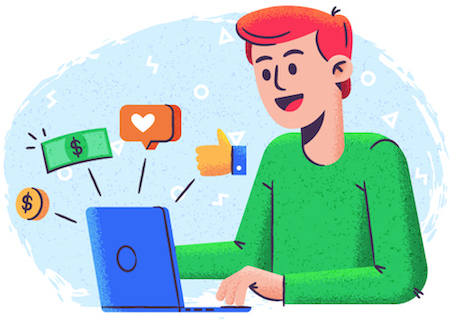 (If you’re doing this by yourself, make sure you’re fully capable in your SEO skill set; otherwise, consider hiring a digital marketing agency who can do this for you.) However, appearing as a featured snippet oftentimes means that users will just read the information without actually clicking on your site. This could potentially translate into “lost” traffic, but at the end of the day, appearing in rich and featured snippets is generally known to improve click-through rates and provide an excellent opportunity to get your brand and website in front of new users. Go queries are often known, brand-related queries. This means that users are searching for a way to a specific location or website. Serving pictures of pears to users looking for apples isn’t going to meet their needs. If you’re trying to rank for a brand term used by your competitors, then you need to ask yourself why Google would want to display your website in the first place when users are clearly searching for your competition. Two of the most frequently used GO queries are “Facebook” and “YouTube”. This infers that most people simply type “facebook” and “youtube” into Google’s search bar in order to find these sites instead of typing in the full URL. GO queries can only be targeted if you own the website that people are searching for. While they have the clearest intent out of these three, GO queries are often ignored due to their low targeting potential. Furthermore, some queries can appear as navigational when they’re actually not. For example, some could use “facebook” as a query, but look for news about the company and not want to visit their website. 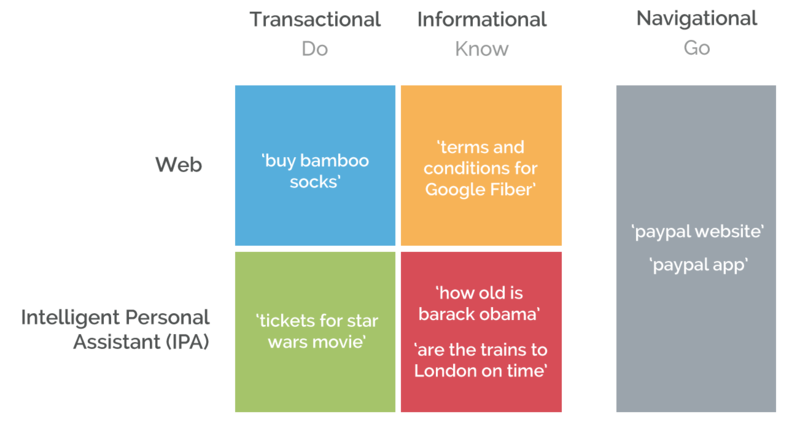 Navigational intent offers a low value, as the results are often biased. It can be useful only if you’re closely related to the brand in question. Informational intent is ideal for acquiring new visitors, increasing online exposure and driving traffic to your website. That said, it is not useful for boosting conversion rates, as the searcher’s intent isn’t to buy (yet), but rather to gather more information. Transactional intent might offer low search volume, but often comes with high conversion rates. All you have to do is type their query or keywords into a search engine and study the results. If the vast majority of results are transactional, then their intent is most likely transactional. Keep in mind that queries are rarely simple and some of them might have more than one layer of user intent, so make sure to tailor your content strategy accordingly. It’s not that uncommon to see a transactional keyword leading to an informational page. 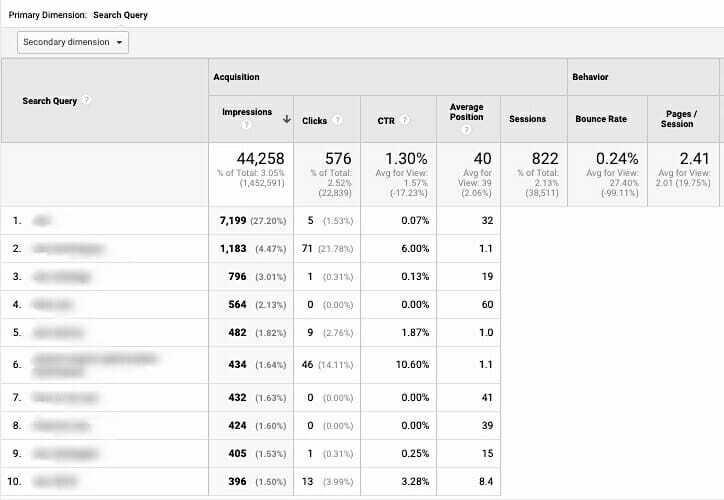 If this is the case with your keywords, then you need to check each and every one of them to make sure they’re directing users to the right pages. On the other hand, if your content is performing well but searchers are having a difficult time reaching and seeing it, the keywords you use might be the ones to blame. This is why it’s so important to align your keywords with your content. 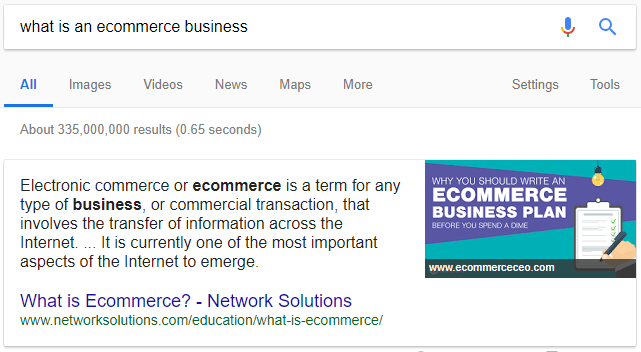 E-commerce websites should mostly use transactional keywords, but if you wish to inform and educate your users, then you need to make sure your keywords are informational in nature. Make sure to sift through your competition and gather the information that will make you one of the best e-commerce companies out there. 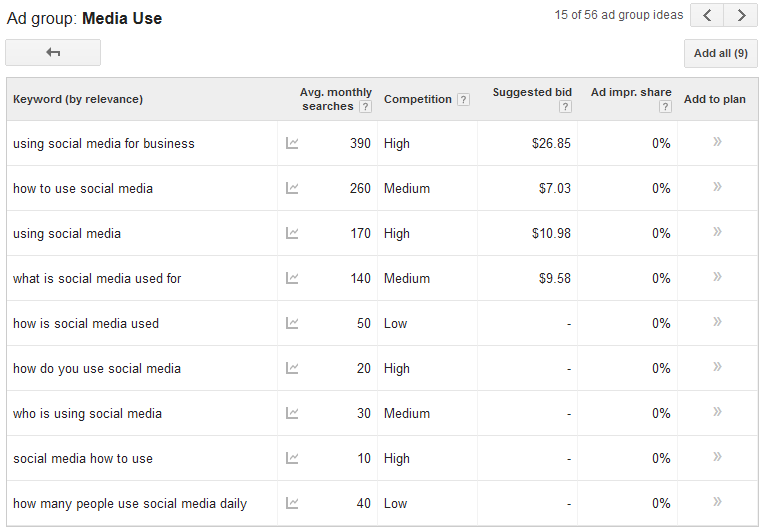 One of the most useful aspects of Google’s related searches is that you can use them to improve your keyword campaign. Let’s say you want to enter a niche, like how to make organic ice cream. The keyword phrase itself is so niched, that you’re simply unsure whether it will be worth your time and effort. It needs to provide users with real value, otherwise, it won’t rank well in the SERPs. But how can you use related searches to help your pages rank highly? Let’s say you query “handmade jewelry.” You can quickly see what type of content ranks well for that specific keyword phrase, alongside some ads and accompanying images. But scroll down to the related searches and you’ll see that some of the keyword phrases include “luxury handmade jewelry.” This tells you two things: people are looking for expensive jewelry and they’re ready to make a purchase. This information alone has already helped you build a much better profile of your potential customers. The query itself for “handmade jewelry” is quite vague. What does it mean? By itself, the phrase can mean anything from wanting to buy to wanting to sell. But once you add “where can I sell,” then your intent – to find a marketplace and sell your products – is clear. But what are the intentions of your customers? To buy? To check out some examples? Or simply to learn more about “handmade jewelry”? This is where related searches come into play and allow marketers and SEO specialists to determine exactly what the searcher’s intent is. You can also take the results and compare them to the related searches in order to find out whether a specific intent is served or not and then use that information to further improve your SEO (keyword) strategy by answering the queries that haven’t yet been answered. As important as keyword research is for SEO, understanding the meaning and intent behind said keywords is exactly what will help you narrow the focus of your strategy and make sure your keywords and the content containing them are properly optimized. Just make sure to match the intent of the keyword with the page or the result they lead to in order to help your visitors find what they are looking for and to help Google recognize the content on your pages as valuable.